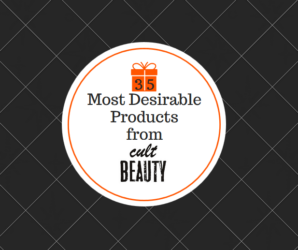 Cult Beauty brings together a host of iconic brands that all deserve to be recognised. There are no UK Black Friday 2019 Cult Beauty deals available yet, please check again closer to or on Black Friday. Aptly named, Cult Beauty brings together a host of iconic brands that all deserve to be recognised. You’ll find brands such as the coveted Charlotte Tilbury and Huda Beauty to cult US luxury skincare from Tata Harper and May Lindstrom. Put together by a team of UK and US ‘beauty junkies’, Cult Beauty is designed to highlight trends and insights that you won’t find anywhere else. Sweep up the best Cult Beauty Black Friday deals this November from the UK’s best-loved beauty library.